Happy Happy Friday! It looks like fall is in full effect with SoCal finally getting some cooler weather. I'm loving the change in wardrobe with boots and duster cardigans. I obsessively searched online for a pair of boots and finally bought a pair this week. I'm crossing my fingers(or toes) that they'll fit once I get them. Shoes are the easiest way to revamp a wardrobe! 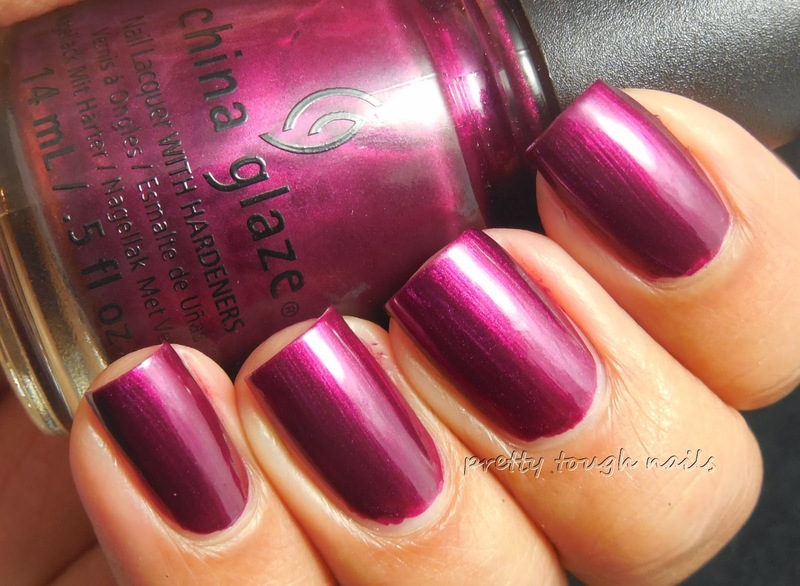 During Cherry Culture's sale a few weeks ago I picked up some of the new China Glaze polishes from their fall Autumn Nights collection. I've already swatched two for you in earlier posts. 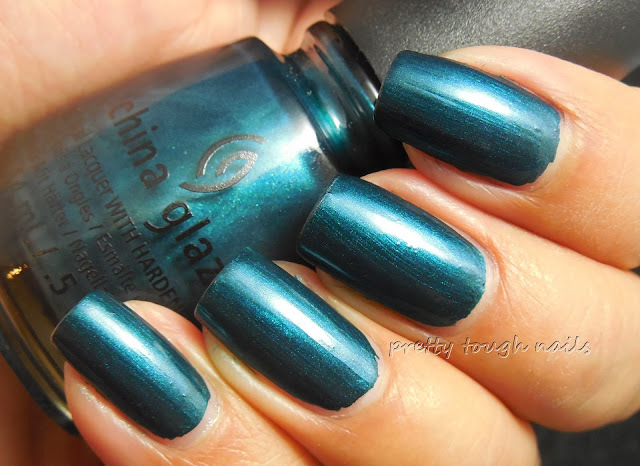 The first I did was Tongue & Chic, a gorgeous emerald green shimmer with tons of depth. Next I swatched was Queen B, a gorgeous creamy dark blurple that took only one coat. To continue this series, I've got two more to add and the first is a lovely deep burgundy shimmer with pink undertones called Don't Make Me Wine. 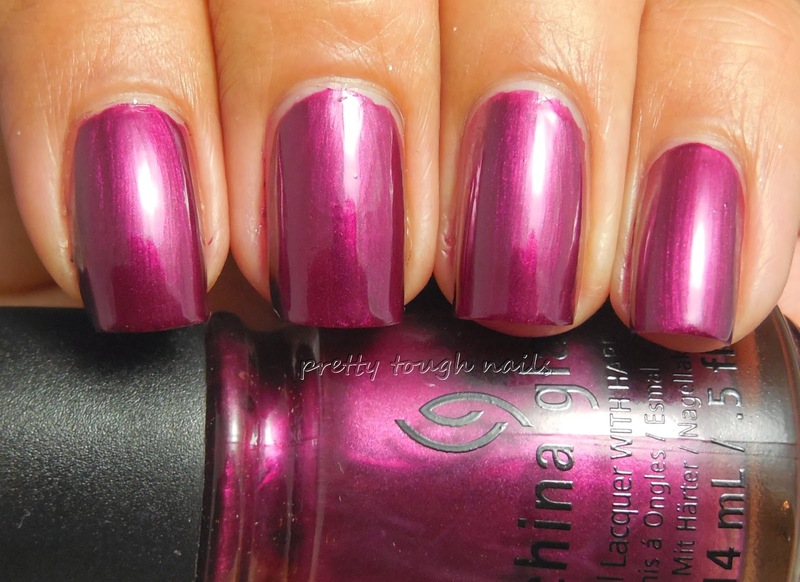 Formula on this was similar to Tongue & Chic, which is smooth and fluid with no pooling or streaking. I used two coats here with no topcoat. The last of my selections from the fall collection is Strike Up A Cosmo is a rose gold foil with bronze flecks. I wouldn't normally gravitate towards this type of color or finish, but rose gold seems to be hugely popular this season so I figured I give it a try. Surprisingly, I really like the way it looks and it's not as unflattering as I thought it would be. Formula was as incredible as the others and I needed only two thin coats. No topcoat pictured here. For fun I thought I'd try an interlocking dot mani and contrasted Strike Up A Cosmo with China Glaze Liquid Leather. I didn't line the dots up perfectly, but for my first attempt at this technique I guess it didn't turn out too bad! This is finished with a layer of topcoat. Overall, I'm really impressed with the formula of all of these. They were all nearly one coaters and the excellent formula was easy to manipulate. The fashion forward shades are perfect for the season and will transition well into winter. After trying these I wouldn't hesitate to pick up the rest of the collection. Which color are you loving from this set?